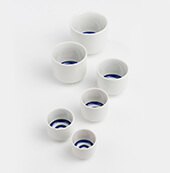 House of Sake would like to suggest you a collection of sake ware for to maximise your enjoyment of sake at home. Sake wares are not only functional but very beautiful and collectable at the same time. 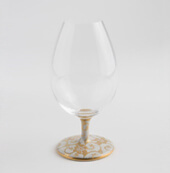 It will add lovely accents to your dining table or help you to relax when you are enjoying a sip of sake at the end of your busy day just passed. 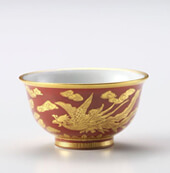 The Ochoko is the most standard sake cup shape and is used for the Annual National Sake Competition (as Kikichoko). It comes in various sizes, and with its upright, straight sides, it helps the aromas rise to the top of the cup in order to capture its best and most articulate characteristics. It is also very good for examining the colour and clarity. It is suitable for both warm or chilled sake, and works well with all kind of sakes. Ochoko in general is smaller in size in comparison to Guinomi and it has rather formal connotation in its use as people usually enjoy drinking sake using Ochoko seated and enjoy sake with more elegant and smaller sips rather than gulp. 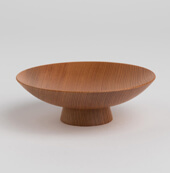 The main difference from the Ochoko is that the Guinomi does not necessarily have upright, straight sides; these can be slightly curved or with a wider opening at the top. The majorities are much bigger in size than Ochoko. The connotation of the name “Guinomi” opposed to Ochoko is that a sip of sake is much larger, it is rather a “gulp” of sake than a sip…In this sense, Guinomi is suitable for more casual occasion than Ochoko, where Ochoko is more for seated occasion as its sip is small and elegant. It is said to be from Edo period (1600 – 1868). 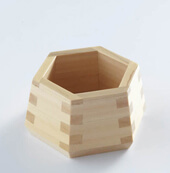 It is designed to be less formal than Sakazuki and to hold more sake inside. 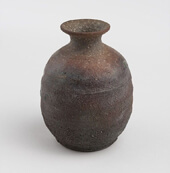 Earthenware Guinomi is suitable for Junmai, Kimoto and Yamahai as it makes those sake much smoother and softer, Glass and Ceramic for Ginjo and Daiginjo as it enhances its aroma and elegant texture. Choose wooden Guinomi in Spring and Autumn to enjoy Hiya (Room Temperatured sake) and metal Guinomi, such as Tin, in Summer as it keeps sake chilled longer with enhanced acidity. The Sakazuki is probably best known for its use in the Japanese Wedding Ceremony – San-San-Ku-Do. During this, the bride will take 3 sips of a Sakazuki, followed by the groom, and then the bride again. These sips add up to lucky number 9, to make the couple more united in terms of their diet and spiritual sharing. Sakazuki are very shallow but wide-mouthed with a diameter of around 6-8cm. These are probably the oldest sake vessels, but are an extremely elegant way to sip sake in the way Japanese nobles used to in the Heian period (794-1185) in Kyoto. Suitable for Futsu, Honjozo and Junmai. It can be used for Ginjo Daiginjo but it does little to enhance the aromas as it is a shallow design. 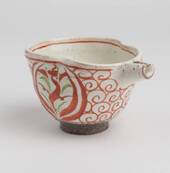 Masu were formerly used as a measuring cup for rice for tax purposes, with a capacity of 180ml. All other sizes are therefore in multiples of 180ml. It is commonly made from cedar wood, which subsequently infuses the sake with its aroma. In Japanese pubs (Izakaya), sake is often served in a glass placed inside a masu. The sake is poured into the glass and then overflows into the masu, which shows generosity. It also gives you two different tastes of the sake served – how it is in the glass and then with a slight cedar infusion to follow. Originally only square shape was available, but nowadays, there are many different shapes on the market. it is still young and closed. Tokkuri is a kind of vessel to serve sake. Its shape is unique with slim neck with round body. The name Tokkuri is said to come from the sound of pouring sake “tokku, tokku” or Hangul’s word “Tokkuru”(meaning Sake Pot in Hangul). Tokkuri can be used for chilled, room temperatured, and warm sake. Tokkuri is used mainly for sake nowadays, but it was used also for soy source and vinegar in the past. It is available in many different sizes, shapes and colours. The best way to warm sake is in a tokkuri in hot water bath. Katakuchi is a kind of sake server with opened top with a pouring beak. It comes in many colours, shapes and sizes. Because of its open top, it is not suitable for warm sake as it cools sake down very quickly. However it is suitable for both chilled and room temperatured sake.